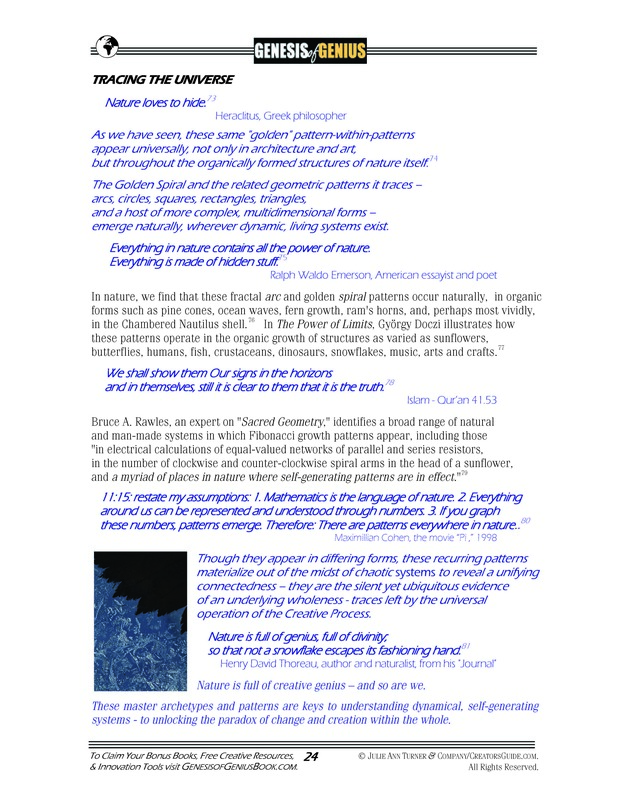 As Maximillian Cohen, from the movie "Pi," shares (click image below to enlarge): "Mathematics is the language of nature." "Nature is full of creative genius – and so are we." We humans have our own sacred geometry - and, our own Signature Genius.